Hey folks, I took some time to reminisce and organize my thoughts on the acquisition. Just so it’s clear, I started out as an fan, did some brief support contract work leading up to the acquisition but didn’t go over to Epic with the acquisition. So I’m back to #1 fan now, just for context. This is a stupendous and heartfelt article Zach. SkookumScript is my brain baby so this means a lot to me. It gets me “right in the feels”. You are an amazing team member and SkookumScript ambassador. Thanks for all that you’ve done and for the impact you’re sure to have in the future. The whole thing about continuing with SK is that it premises on getting that permission to continue. YES! Exactly… and that is why I kept trying to get the full source for SK. I too also had an issue with a prior engine deprecating their full source, essentially ending support on licenses. In all honesty I am really proud of the AGOG guys for the accomplishment. Unfortunately, I have to reconcile with what has happened and deal. I really don’t know what Epic will say about letting SK continue. Questions like: Do you have to have a license to be the recipient of code updates? Do you have to have a license to receive ALL of the the source. IF you do, then without a doubt, SK will fade in the distance because there’s no way to obtain new licenses as far as I am hearing. Also, it is a tremendous burden to take on the updating of the SK code base. There’s also the question of what Epic will come out with now that they purchased SK. A lot of these questions are up in the air until Epic provides some answers. Additionally, typically, forums and website stuff etc… go BYE BYE once a company decides to “deprecate” their entire product line. What will happen to the SK docs? Again, I do want to congratulate the AGOG guys on the acquisition. I hope something amazing comes out of this. error454, great photo at the end of the article. The milky way disc, the composition, the scales. And of course, great initiative. 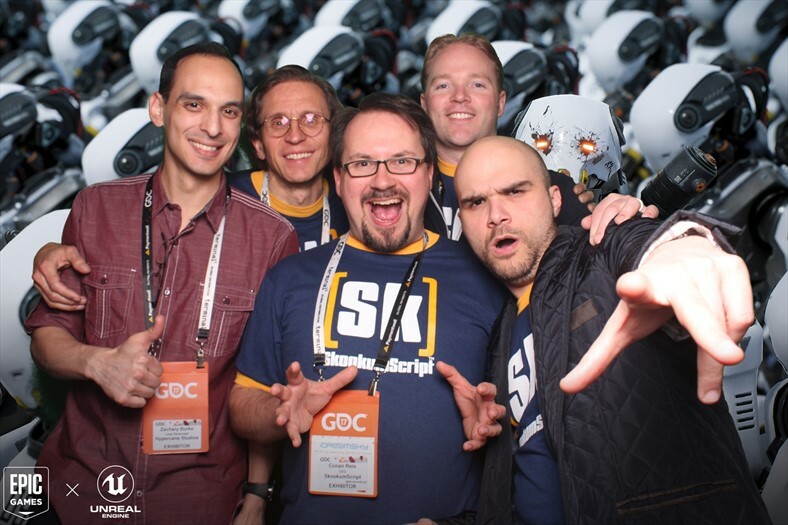 Hey - the news from the Epic HQ is that SkookumScript will live on! :madsci: We will be making the source available probably with the same End User License Agreement as the Unreal Engine - which makes sense since the SkookumScript IDE uses Unreal tech in the form of the Slate UI. There are still a few mechanics and legalities to work out. The idea is to have the community support it with @error454 being the key maintainer/gatekeeper/shepherd. So SkookumScript will evolve. We’ll aim to keep the SkookumScript website and this forum up for as long as SkookumScript has interest. When we have more specifics we will post them. Thanks again everyone!